Join us at the Critical Apps Hackathon in Munich from Feb 2nd - Feb 4th. Mission critical communication systems are typically used by emergency and disaster response units, especially when vital information needs to be delivered reliably because lives are at risk. Police, firefighters, paramedics, but also critical mission professionals in fields such as oil and gas, airport operations and public utilities, use professional mobile radio (PMR) systems such as TETRA to prevent and respond to emergencies. 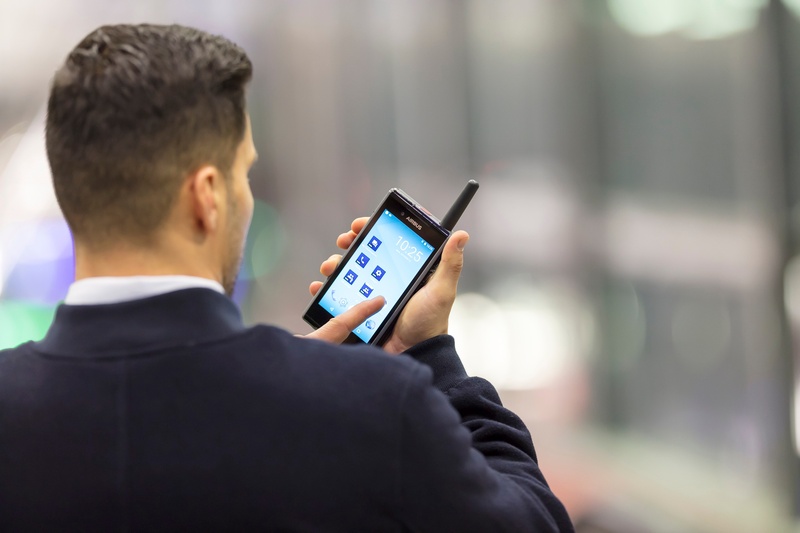 However, in addition to their PMRs these professionals also make use of their smart phones to provide additional information and communication for their daily work. To make them more effective in their daily operations, Airbus is launching a new hybrid product, the Tactilon Dabat. The Tactilcon Dabat is an Android smartphone which provides both regular LTE network access and built-in mission-critical TETRA capability. It’s not hard to image how location technology can be used to build exciting new applications leveraging the hybrid capabilities of this device, and so HERE is joining forces with Airbus for the Critical Apps Challenge Hackathon. If you join us, your challenge will be to improve the mission-critical communications of police officers, firefighters, caretakers, doctors and other life-saving and society-building professionals. What kinds of useful, secure and engaging applications and functionalities can you come up with using the HERE APIs and the new Airbus Tactilon Dabat? The hackathon will take place in Munich from Feb 2nd to Feb 4th, 2018. You can find more information and the application form on the Critical Apps Challenge homepage. Also check out the SmarTWISP developer programme for the Tactilcon Dabat, and of course sign up for the free trial on the HERE Developer Portal.